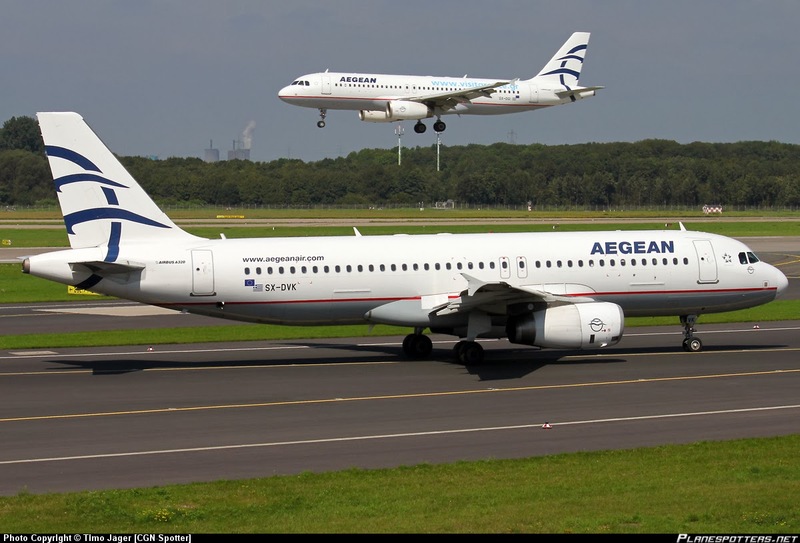 In 2013 Aegean Airlines won the prestigious Skytrax Award for "Best Regional Airline in Europe" for the third consecutive year. In a passionate acceptance speech the President 'Theodore Vassilakis' dedicated the award to his employees stating that "each in his/her own way contributed to achieving this high goal". Personally speaking Aeagean Airlines has always been a pleasure to travel with, as they take care of the small details with a certain youthful style. The Aegean Airlines website is well designed too and now even features a low cost calendar to select the cheapest dates to travel. The Air Hostesses must also win the award for being the the most young and beautiful with their slick cut uniforms and extremely elegant, polite manner. All of this is in stark contrast to an ever decreasing level of poor in flight services offered by most European Airlines. Alas, now in 2014 is seems that Aegean Airlines have caught the annoying disease of pestering passengers where they never used to. The new policy is to charge for Cabin Luggage to the tune of a whopping 35 euro per bag. This effective Tax increases the cost of all Aegean flights significantly (30% in some cases for all passengers with luggage. Of course there is no notable change to the ticket prices. The new rules which are rather aggressively and dis-tastefully enforced state that only one in-cabin Bag of 8kg (size 45cm x 56 cm 8 25 cm) can be carried on board. If this criteria is not strictly met then the bag has to be checked-in at a cost of 35 euro per bag. Worse still the policy is enforced aggressively. On the 16.00hrs flight from Athens to Larnaca today (13.2.14), I personally observed no less than 20+ passengers who were forced to enter their luggage into the "Cabin Test Box". Some passengers were even asked to do this twice and the flight was not even full. Over the past few years the food has degraded a little too. Once upon a time passengers were treated to Greek Yoghurt in-flight with honey and other Mediterranean treats. Now it's an overcooked small pasta, a small white roll and a snack bar. It's still edible, but at the current rate of decline we will soon be at Alitalia levels. Wine is still served, but hidden below and only on request. In summary, Aegean needs to decide what it is either a "niggly penny pinching low cost carrier" or what it was a "decent airline that once stood out in a European arena of poor service". The current direction is clearly towards the former. How sad it is to see an airline that offered such promise start to slide down the slippery slope of low cost.